The mobile home fan in your life is a very special person so they deserve very special vintage mobile home gifts. 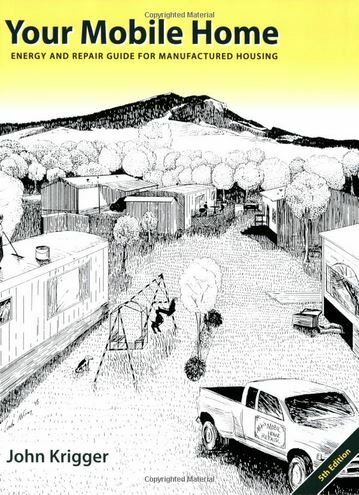 They appreciate the historical significance of mobile homes, trailers, and campers as well as the design aesthetics and the great memories shared in days-gone-by. Related: More great vintage mobile homes! These CD’s are a treasure! For less than $10.00 you can read several great issues from the 1950’s and 60’s. Vintage Trailer Supply has a few different CD’s to chose from. You can see them all here. This is probably my favorite book of all time. 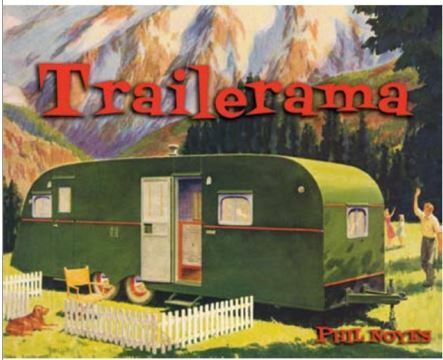 It’s full-color with hundreds of beautiful photos of trailers, mobile homes, and campers during their Golden Age. It’s thick and heavy and well-worth the price. It’s my humble opinion that every vintage mobile home fan should own this! You can buy it in two places. Vintage Trailer Supply has it for $22.99 and Amazon has it for $19.89. Shipping will be the deciding factor on overall cost though (typically orders over $35 gets free shipping at Amazon but if you’re buying additional things from Vintage Trailer Supply it may be cheaper to order from them). at Amazon here (affiliate link). 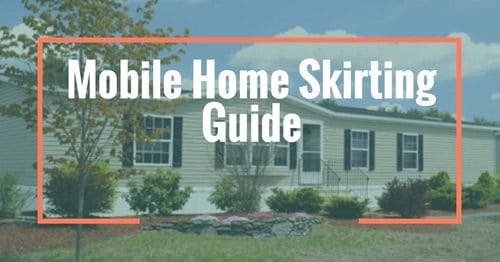 I’ve written about this book before because it is such a great resource for mobile home owners. The price is reasonable for the vast amount of in-depth information and large images that are in this book. 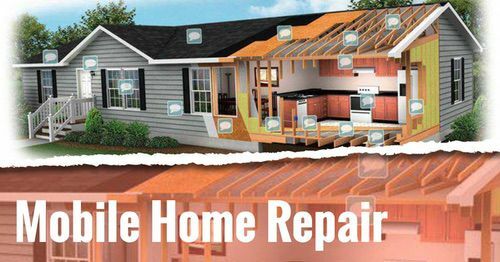 This would be an especially great Holiday gift for anyone in the process of remodeling their mobile home! 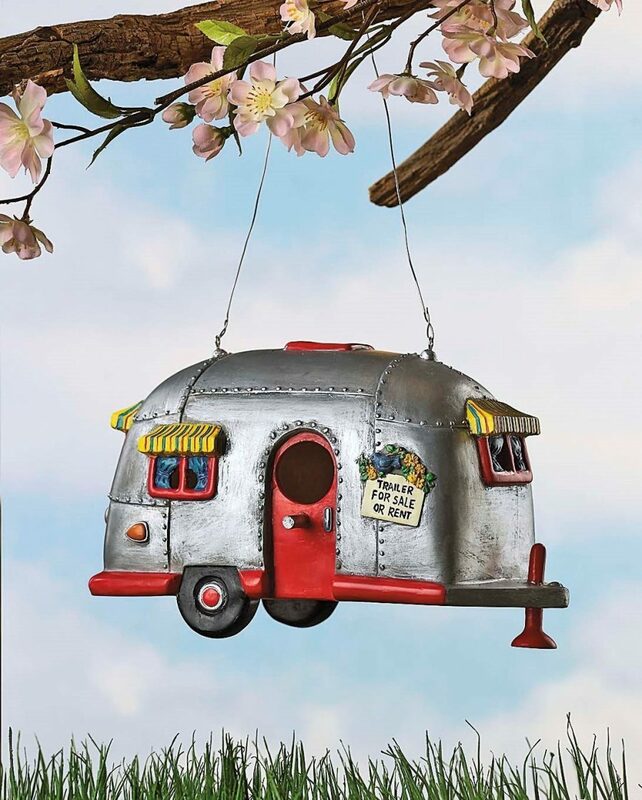 This is a great gift for those vintage Airstream fans! 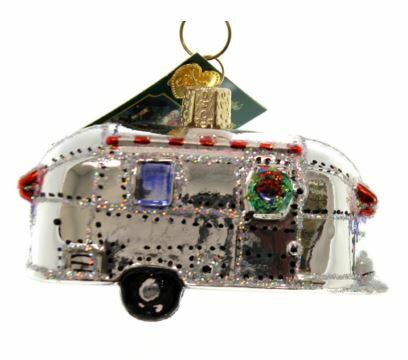 It’s a smaller ornament, at only 3.5″ x 1.5″, but it would be a great addition to a vintage camper or trailer fan’s Christmas tree. Every vintage trailer fan I’ve ever known loves this movie! 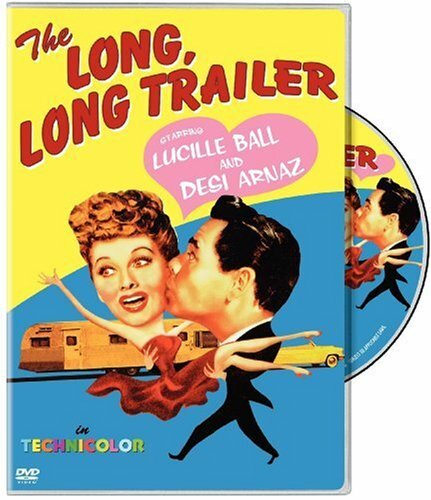 There’s just something about Lucille Ball and New Moon trailers! At only $5.00 it’s a great stocking stuffer! 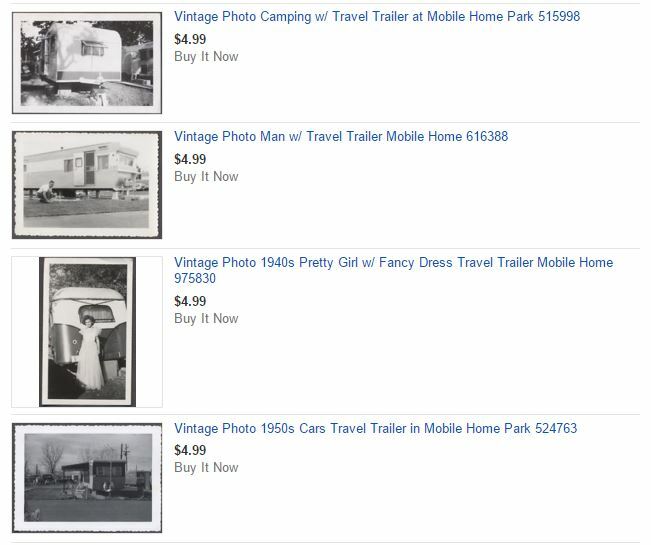 Ebay is a great place to find real vintage photographs of vintage mobile homes and trailers. If you know your fan lived in a particular make or model you could search for a photo and frame it. It would be unique and affordable. Most of the photos on Ebay are under $10.00. 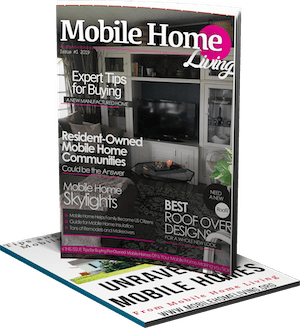 You can also find printed issues (the actual issues) of vintage mobile home magazines on Ebay but they tend to get expensive. Go to Ebay.com and search for vintage mobile home photos. This is a great looking ornament that could be hung year-round. 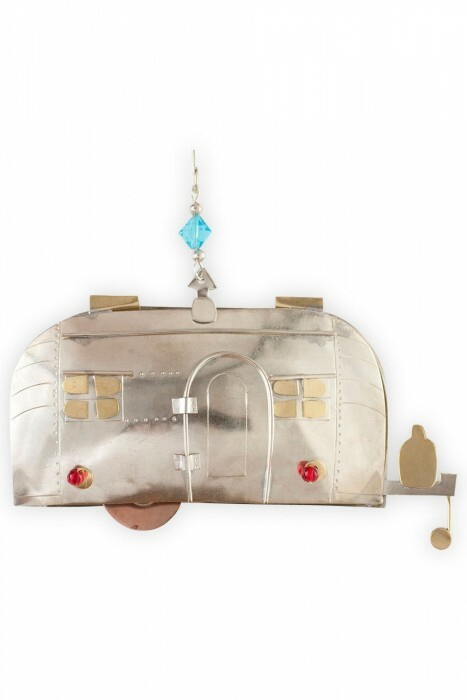 It’s less than $25.00 and would be a unique addition to the vintage Airstream fan in you life. These are the coolest coasters you’ll ever see! 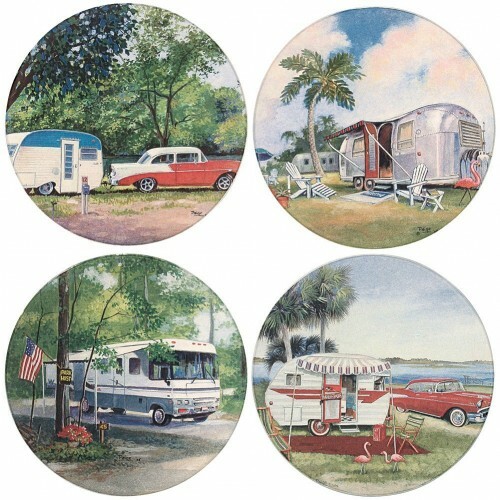 They are 4.5″ coasterstone coasters with great scenery of vintage campers. 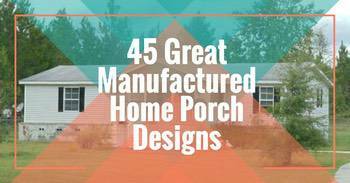 These are useful vintage mobile home gifts for just about anyone. I own two of these but I can’t bare to actually put them outside for the birds. They look great on my shelf though! Amazon has a few different styles that are under $20.00 each. I’d probably go with the non-wood ones for the waterproofing. 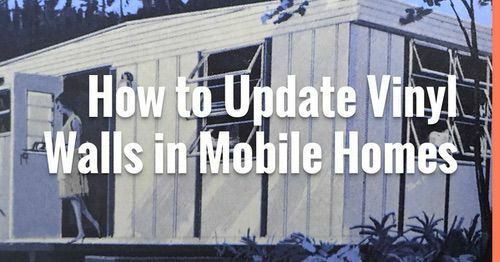 When the vintage mobile home and camper trend took off a couple of years it did us fans a favor. 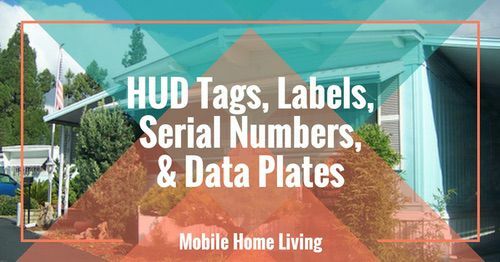 There’s tons of great vintage mobile home gifts available now! Love this site. 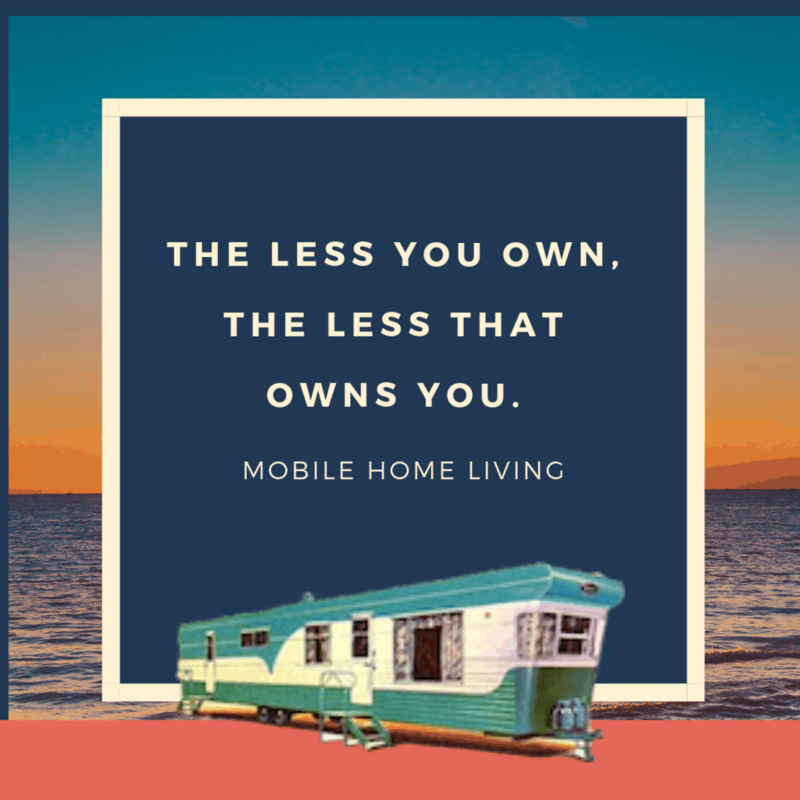 I live in a stick built home, but am looking to downsize to a mobile soon. Thanks for all the great ideas and inspiration. Thanks for the kind words, Judith! Good luck on the transition! Sounds like a great place! I’m not very knowledgeable about the full basement builds and installations but I would imagine that it will be removed exactly how it was installed. Typically, to install them they use a jack and scoot technique – the home is jacked up to the beams and then a roller system is used to slide the home into place. If you could take some photos or videos of them removing the home I would love to see it. I really need to learn more about the process. Have video of home being put on basement foundation. However i havent found any way to remove it safely from basement foundation still searching. Will send videos your way. Crystal, I have gotten CDs with issues of Trailer Life, etc on EBay for about the same price. 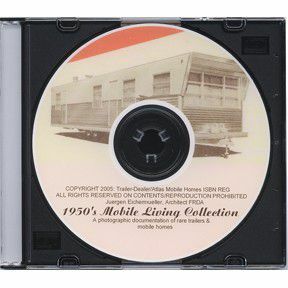 Another source for a vintage mobile home fan CDs. Cool! If you don’t mind please send me the link and I’ll add it to the article. Thanks! I have to comment about the new format for your website. It is now just like dwell and any number of others that load extremely slow for me. I have high speed dsl but it is at the lower end because of money. You site and houzz were two of my favorites to visit because low flash/java use. Thank you so much for letting me know! I have to rely on professionals to help me with all the technical stuff because it’s over my head. I have sent them an email and hopefully they can get whatever issue straightened out. I know with my computer I sometimes have to clear the cache on my browser (chrome, internet explorer, firefox). Someone taught me that a couple years ago and it’s came in handy for me so you may want to try that. I’ll definitely get on this issue – there’s no sense in having a website if readers can’t read it! Thanks so much for letting me know!